Frightened Danielle must trust a handsome rancher named Grey to help her escape from an abusive uncle. 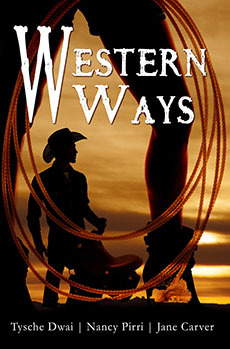 Grey hires her as the cook’s assistant on his cattle drive taking longhorn cattle from El Paso to his desert ranch southwest of Tucson in Arizona Territory. Leaving all her dresses and feminine garments behind, she cuts her long hair short and dresses as a boy to keep the men from discovering she’s a woman. But Grey knows she’s a woman and he can’t forget—not after he kisses her under the starlight. Lily has been a nurse in Civil War hospitals in Kentucky. 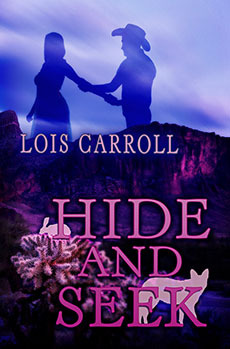 At the end of the war, she endures weeks of travel to Tucson, Arizona Territory, to find her father who headed there years earlier to hunt for gold. She learns from the one doctor in town, Ben, that he died, leaving her with no family. When a mine shaft south of town collapses and traps miners, Lily wants to go with Ben to help care for the injured. But he insists she abide by his rules to protect her reputation. How could he think she would marry a stranger? If she does not, how will she survive? In 1888, widowed Brianna MacAulay is an independent woman struggling to support her two sons. She turns her home into a boarding house, believing this will preserve her from accepting another unhappy marriage proposal. 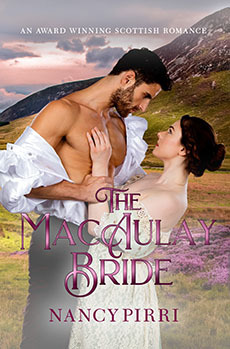 But her late husband’s brother, Harrison MacAulay, has lusted after Brianna for years. Now that his brother is dead, he’s determined to win and wed her. He journeys from Scotland to America to coerce her to move to his home in Edinburgh. She soon learns her sons are under his guardianship, a stipulation in her husband’s will, and she has no choice but to move to Scotland. Sexual sparks fly as their mutual attraction deepens, but just when Brianna is beginning to trust him, Harrison makes a critical mistake. Brianna tries to escape but Harrison holds her captive. He soon learns that love, not dominance, will win her heart. As if losing her mother to cancer wasn’t bad enough, Shana Madden was unlucky enough to be laid off from her job only months later. Considering she had nothing else to lose, she stops at a local bar and after one too many drinks takes a chance on a one night stand with Kal Paxton only to end up with unexpected complications. During the next two years her life goes from bad to the worst years of her life, so she leaves Minneapolis to get a fresh start in sunny Phoenix. On the first day of her new job at Arizona Memorial Hospital, she realizes she will be working with Kal Paxton. Kal Paxton’s one night stand with Shana weighed heavily on his mind, but when all attempts to contact her after that night were unsuccessful, the only choice was to give up and move on. After filling in at his friend’s clinic one fateful day, his life changes forever. Growing up in Minnesota was something he would always cherish, but the sunny days of Phoenix beckoned to him. After moving there, he assumed he would never see Shana again, but he was wrong. What were the odds they would meet again? With both harboring life altering secrets from their past, only time would tell if they resist or succumb to the intense sexual chemistry between them. Ultimatesly, they must decide whether to reveal their secrets to each other so they can take a chance on a new future together and a love that can last a lifetime or walk away. 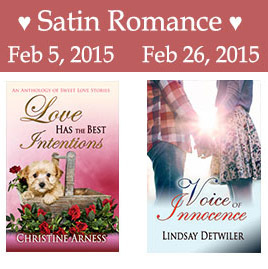 Today we’re happy to bring you a new book from each of our Satin Romance lines: white, pink and red. It’s not every day a guy gets a chance to go from feeling like a zero to being a hero by saving a little girl’s Christmas! Looking for love in all the wrong faces, Clarissa falls for a real jerk but is taken in by his charm and good looks. 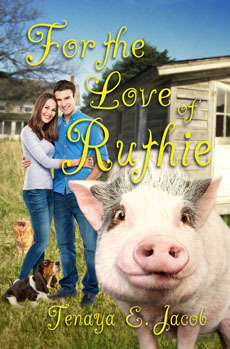 It isn’t until her beloved potbelly pig, Ruthie, takes an immediate dislike to her new boyfriend that Clarissa starts to see Brent for the bad guy he really is. Disillusioned and broken hearted from her last failed relationship, she discovers the cantankerous new young doctor and neighbor of hers, is more than first meets the eye. Despite her rough start and working relationship with David, the doctor, Clarissa and her pig take quite a liking to him and strike up a good friendship. 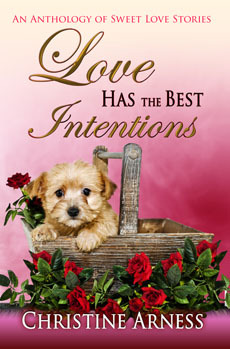 Through a series of mishaps and near disasters, the two discover first impressions are sometimes misleading and second beginnings and chances often lead to great rewards. 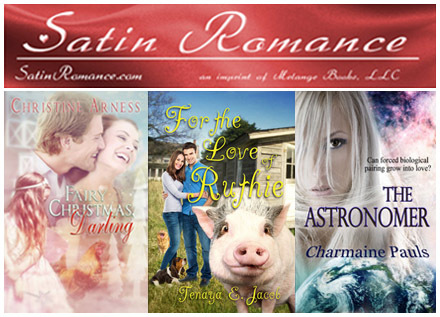 Can Clarissa overcome her hatred of hunting and cardinal rule of not mixing business with pleasure to find love? Only she can battle her own demons and change her own misconceptions about life and love. Loving someone madly, obsessively, to the point of addiction can be heaven…or hell. The year is 2165. A new blood group has evolved, and biological pairing, called mating, has replaced the old-world marriage ritual. When a stranger saves astronomer Dr. Fraya Riber from drowning, her body goes into a strange state of arousal. Bound to be paired with another, Fraya frantically searches for the answers to the phenomenon that soon becomes an unwelcome addiction. Nothing has prepared her for this painful dependence, and nothing will prepare her for the cure, or the identity of her enigmatic savior. Can she reject desire for loyalty? Must she choose between her career and her love? Can passion truly craft a bond that will last a lifetime? New to the WHITE SATIN line at Satin Romance…. After her husband’s death, Sophie and her young daughter return to her family in Derbyshire. The Ferguson’s seem like a perfect family until you scratch the surface. With so much emotional baggage, and only nine weeks to Christmas, can Sophie bring them altogether for the perfect Christmas she dreams of? Thomas, the gorgeous, moody decorator, is a man with his own agenda that doesn’t seem to include Sophie. Even in his paint-smeared tee shirt, faded jeans and scuffed boots, he is immodestly masculine, handsome and sizzling hot. But when his eyes reflect the pain she knows so well, Sophie cannot help but wonder if there is another side to the cold exterior. Thomas finds his heart opening to this beautiful, wounded woman from his past. A passion smoulders as they work together in the months before Christmas. But he has been hurt before and hesitates to stoke the fire between them. 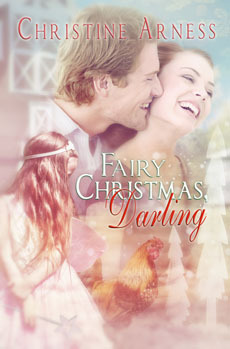 Will the magic of the holidays heal a family and bring two lost souls together?